As much as we don’t like to admit it, we spend most of our days at work and office design can greatly affect the productivity of employees. By simply having access to daylight and views, employee satisfaction goes up and so does their productivity. Being stuck in a cubicle or a stuffy office can also create stagnation. An office setting that is open and warm with spaces to collaborate can help keep productivity up when being isolated and staring at the same white wall becomes too much. A comfortable ergonomic task chair, height adjustable computer screens and personalizing your desk all help as well. 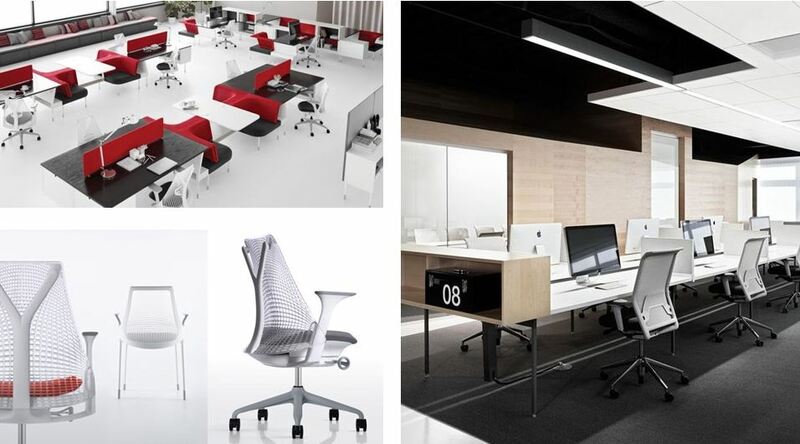 For furniture inspiration look no further than Herman Miller, Steelcase and Coalesse to name a few! When you are finally home from a long day at work and have survived the rush-hour commute the last thing you want to do is spend more time than necessary in the kitchen preparing dinner. 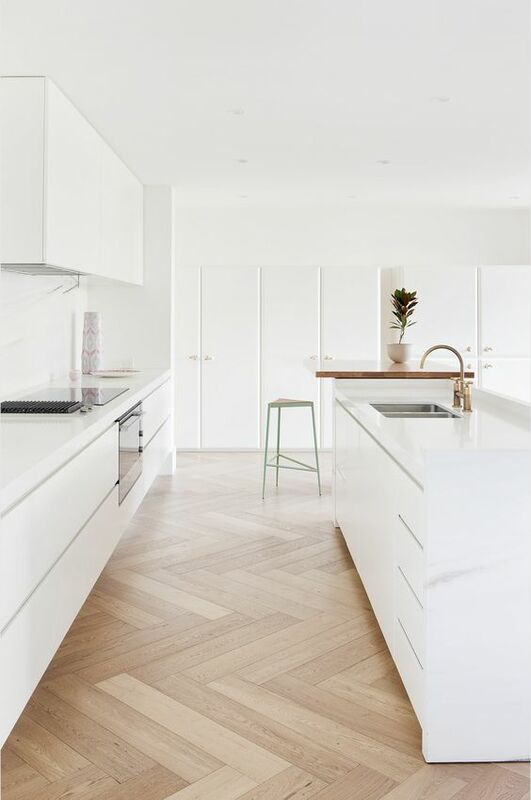 If you are looking into getting your kitchen redone anytime soon or are looking for a new place, make sure to keep an eye out for a “working triangle.” Without being too technical, this working triangle is formed by your stove, kitchen sink and fridge. When cooking, a good working triangle formation helps to save you time and makes it easier for you to access what you need quickly. Maximizing countertop space by having useful and accessible millwork that stores all your necessities can also help you become super productive in the kitchen and getting meals on the table in a jiffy. Watch out for smart kitchens coming your way! Everything from appliances that can be remotely accessed via your phone to virtual chefs are on the horizon. Can you be productive while resting? No, not really, but getting a good nights sleep and being well rested sure can affect your productivity throughout the day no matter what the activity is. For those who work night shifts or are on-call, sleeping can often occur while there is still plenty of daylight. This is when window treatments in addition to a really great mattress is necessary. 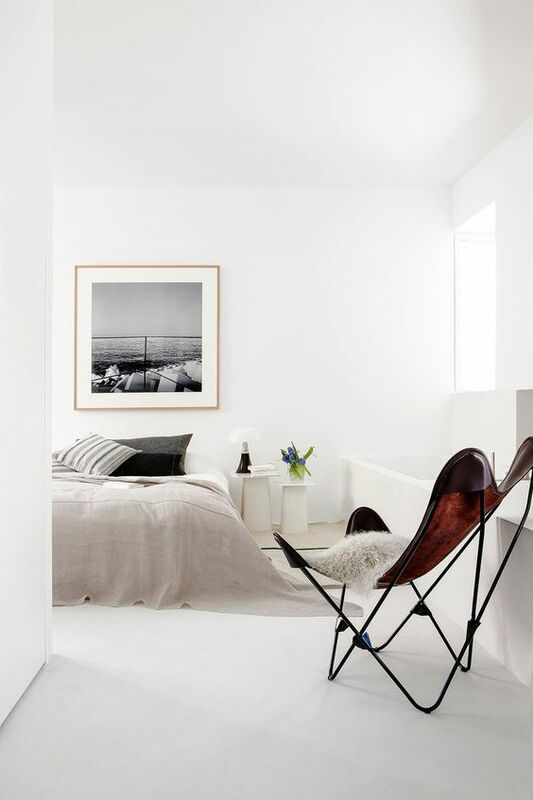 Your bedroom is often your private escape from the rest of your home, so having a space that is calming and can aid in your relaxation is the key. For those cold Canadian nights, might we suggest installing a fireplace? Not only is it functional, but it adds to the atmosphere. Who doesn’t love curling up to a nice fire with a glass of wine and a good book at the end of the day? We don’t often realize it, but if you pause and take a moment you will notice that everything around you is designed. From the screen you are currently staring at to the chair you are inevitably sitting on, it is the product of design. Great design is often invisible – a quote that I have heard many times before. Don’t believe me? I think our most memorable experiences with design are not usually the ones that take our breath away, but the ones that we think are an epic fail and cause frustration. We love objects that are not only functional, but innovative and beautiful so we have decided to feature a few products from a couple of designers that we admire. You are sure to remember them… in a good way! This innovative French designer has created products, interior, industrial and architectural design that you are sure to have come across at some point in time. His well-designed objects are affordable and aligns with his “democratic design” concept. It seems Starck has designed every object under the moon from his iconic Juicy Salif juicer to glasses, watches and bathroom fixture lines. His interior design can also be found around the world in world-class hotels, restaurants, stores, bars and clubs. Not impressed yet? You can also check out some of his boat, bike, motorcycle and car designs. What doesn’t he design? 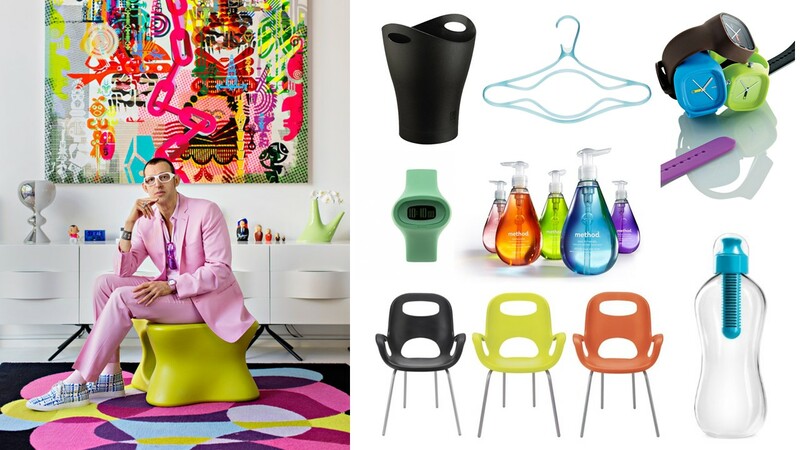 Quirky might be the best descriptor for Karim Rashid and his designs. The Canadian-American industrial designer specializes in luxury goods, furniture, lighting, surface design, brand identity and packaging. He is bold, which is represented by his love for the color pink. His work can be described as sensual, with curves and bright colors and that are easily recognizable. You have or have seen his designs in stores. 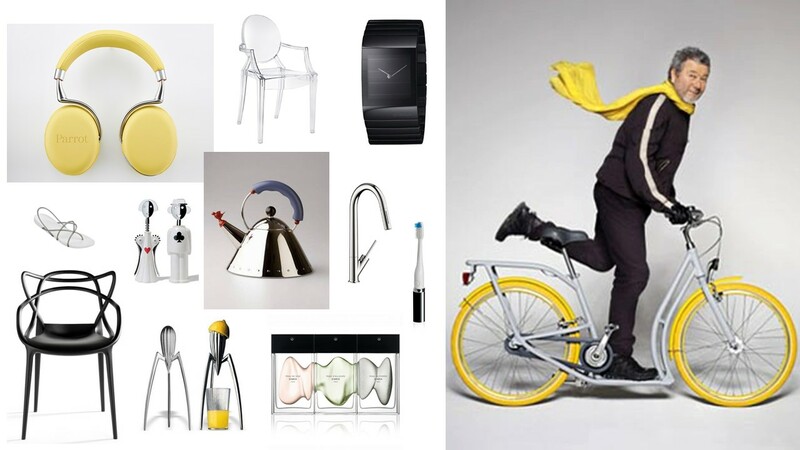 Some of his recognizable products include the Oh Chair and Garbo waste can for Umbra, bobble water bottle, watches and tableware for Alessi and lighting for Artemide, just to name a few.